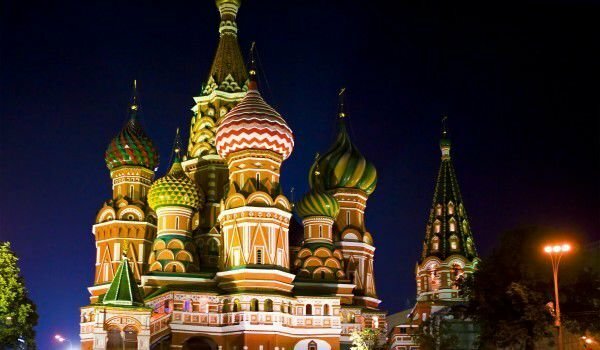 When we speak about Russia, one of the first associations that are springing up in our minds, is the impressive Kremlin and especially also the emblematic of the Russian capital Moscow - Red Square. With its grandiosity these two landmarks in the former colossus of the Soviet power embody the rich history of the country. Kremlin is the name of the vast complex of stately buildings in the center of Moscow. On its territory there are a number of important bodies of state power: the presidency, government and other bodies. The most common before the time of Kremlin were the old fortified Russian cities and the fortified interior, surrounded by defensive walls with towers. Kremlin in Moscow has a shape resembling a triangle. About 7 centuries ago exactly there was the Russian Orthodox Church headquarters. Undoubtedly the most remarkable is the Church of the Annunciation. Most of its visitors go there to see the most beautiful iconostasis, which is in the country. The interior of the Kremlin impresses with its beautiful religious paintings, especially with several stunning, masterfully painted icons. The following is the temple of the three "Assumption", which boasts that it has the largest bell in the territory of the Kremlin. The third Church is distinguished by its two golden domes and named, Ivan the Great. Furthermore the Orthodox cathedrals, is situated near the palace and was in place in which time lived Stalin. Attractive to tourists is the Armament Office of which is riched with royal attributes. East of the huge complex is the emblematic Red Square. 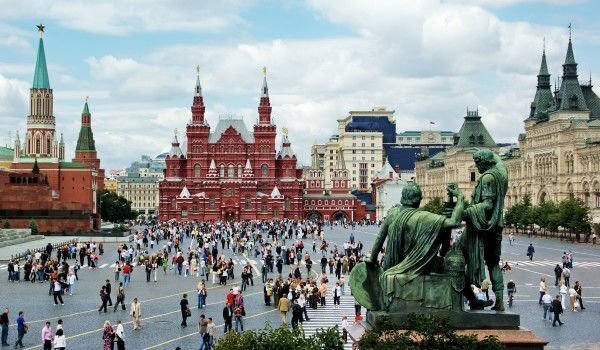 The common view there includes the contrasting pictures of the beautiful churches, palaces and the impressive Kremlin wall. The size of the square is impressive as it is of about 700 meters, but as the greatest attraction there is the famous temple fair Vasilevski. There is no way to confuse its colorful and exquisite colorful domes and shaped bulbs. Particularly impressive are its skillful sharp peaks. The main tower of the cathedral, which is something like a thumbnail of the Russian Church, has an incredible beautiful golden dome.